On 138th birth anniversary of E.V. Ramasamy Periyar, I recall his views on Shaheed Bhagat Singh. Bhagat Singh became a national hero immediately after the Assembly Bomb Explosion on April 9, 1929. Till then he was known as a thinking young nationalist among the Naujawan Bharat Sabha activists in areas around Punjab. 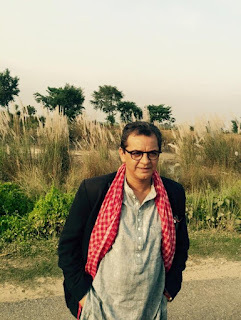 He had also grown into a popular ideologue in the underground circle of revolutionaries of Hindustan Socialist Republican Association (HSRA). However, it was this daring act on April 9 which catapulted him to national fame. As planned in advance, the court hearings during the trial were used as a platform to address the fellow Indians and sensitise them about HSRA’s ideology and programme. His writings from the prison were surreptitiously sent out and published by the nationalist press. The martyrdom of Bhagat Singh on March 23, 1931 led to a widespread condemnation of the act and also support for the politics he espoused in his short life. One of the most articulate and strong reaction was seen in far away Tamil Weekly called Kudi Arasu, where Periyar E.V. Ramasami wrote an editorial on March 29, 1931. Besides being critical of Gandhi and the Congress for failing to save him, Periyar saw in young Bhagat Singh an ally who stood for rationalism and spoke against caste oppression. He began by writing “there is no one who has not condoled the death of Mr. Bhagat Singh by hanging. 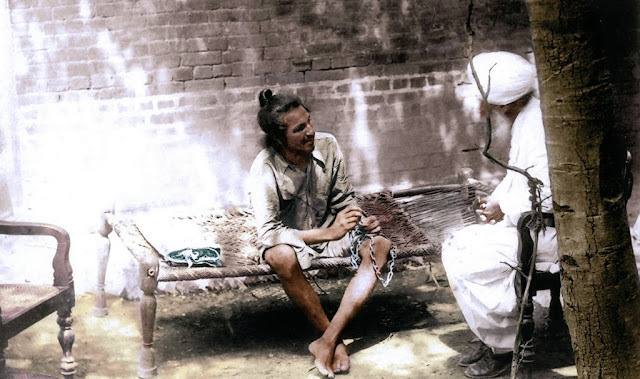 There is none who has not condemned the government for hanging him.” The above lines reflect the widespread acceptance of Bhagat Singh as a national hero, much beyond the limits of Punjab, and more significantly, within this short political life. There is no reason to believe that his persona was created by scholars through their exploration and interpretation of historical records. Periyar goes further to reiterate the ideals upheld by Bhagat Singh and says that “If Bhagat Singh has come to the firm and sincere conclusion that all his principles were correct, and that the methods he had used were the just ones, then he should have definitely conducted himself only in the way he did.... It is our strong view that only Bhagat Singh’s principle is needed in India.” He was clear that Bhagat Singh’s principle represented socialism and communism and as an evidence to prove his point Periyar used two lines from Bhagat Singh’s letter written to the Governor of Punjab saying: “Till Communist Party comes to power and people live without unequal status, our struggle will continue. It cannot be brought to an end by killing us: it will continue openly as well as secretly.” There were many in India who closely followed Bhagat Singh’s trial and statements in the court and Periyar was surely amongst them. In the famous statement on June 6, 1929, Bhagat Singh said, “The whole edifice of this civilization, if not saved in time, shall crumble. A radical change, therefore, is necessary and it is the duty of those who realise it to reorganise society on the socialistic basis. Unless this thing is done and the exploitation of man by man and of nations by nations is brought to an end, sufferings and carnage with which humanity is threatened today cannot be prevented.” Ramasami Periyar was inspired by similar sentiments and was engaged in the 1930s in organising industrial and agriculture workers to fight against the big capitalists and landlords. This struggle invited the wrath of the colonial government leading to the ban on Communist Party and other like minded organisations.